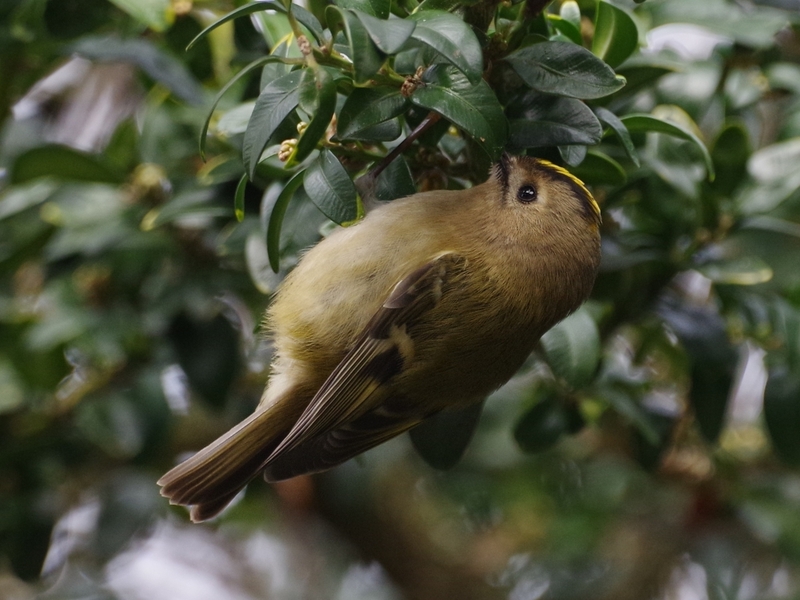 A Goldcrest hung upside down in a bush near the bridge, looking for insects in the leaves. 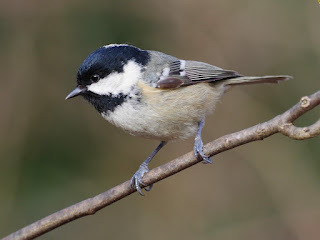 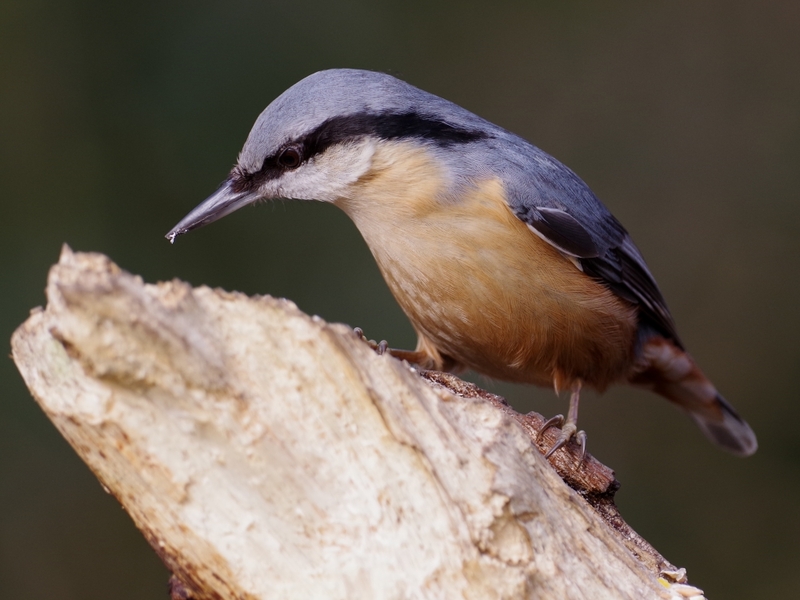 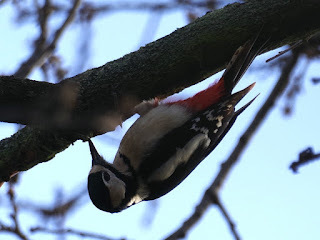 A Great Spotted Woodpecker at the leaf yard was doing the same. 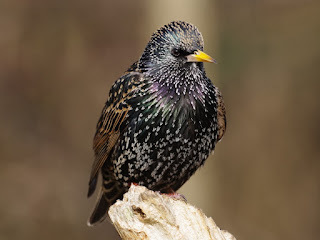 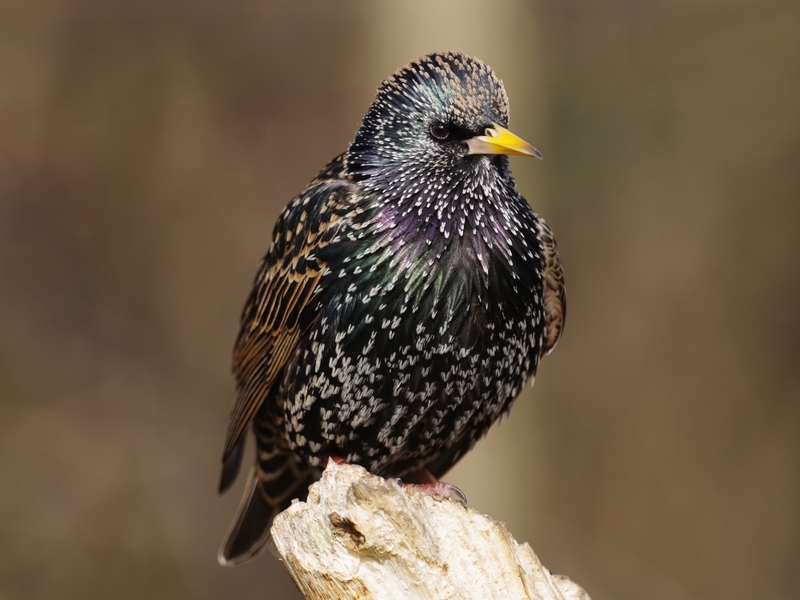 ... and a Starling, looking very shiny in the sunlight. 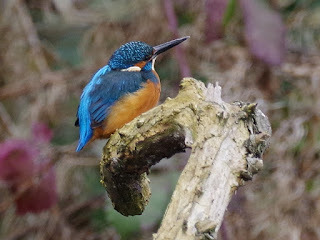 The Kingfisher arrived in the willow near the Italian Garden just as we looked into it. 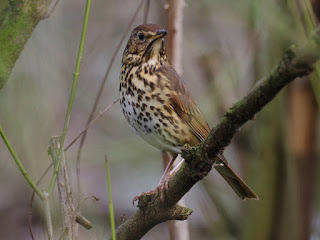 There was a Song Thrush in the bushes near Peter Pan. 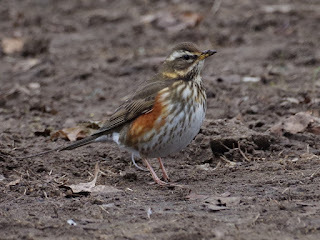 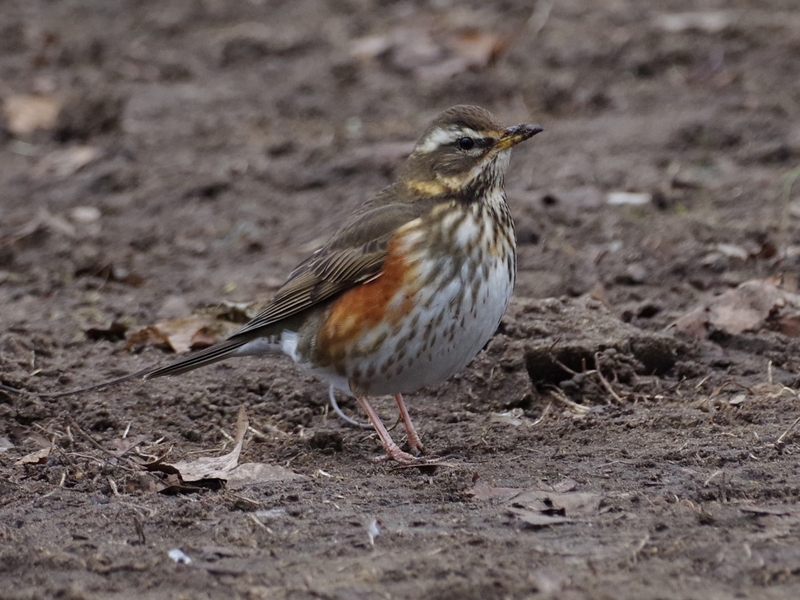 The Redwings are still on the Parade Ground. 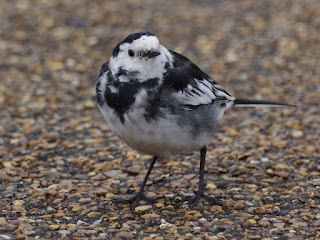 This Pied Wagtail was running under the tables of the Lido restaurant. As soon as wagtails realise that restaurants are good places to eat, they become very causal about the presence of humans. 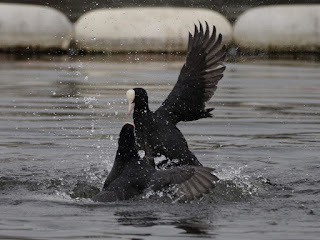 They know that they can move so fast that they can always get out of the way. The female Little Owl near Henry Moore was in her usual place. This is practically the same as yesterday's picture, but Little Owls are irresistible. 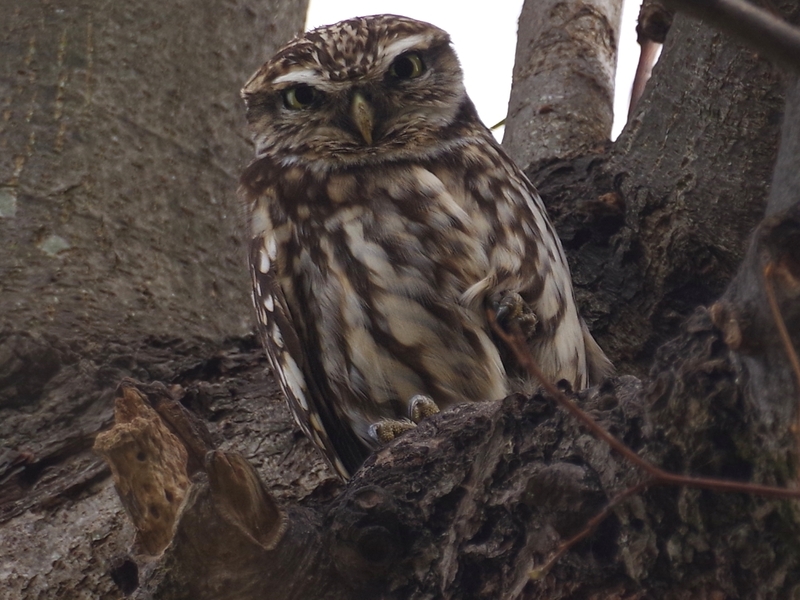 And here is the female owl near the Albert Memorial looking down from her hole. 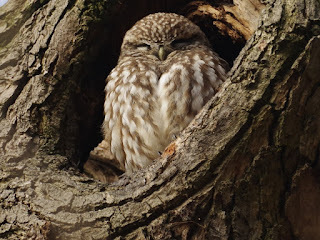 She is always fluffed up to the max, and seems to feel the cold more than the other owl. 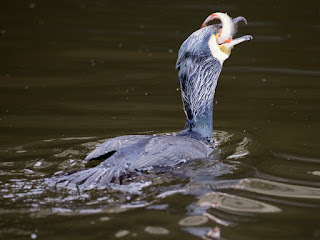 A Cormorant caught a perch near the bridge. Two Coots were fighting at the Lido.